TEHRAN (Fars News Agency)- Acting Foreign Minister Sergei Lavrov on Tuesday told visiting French Foreign Minister Bernard Kouchner that neither military force nor unilateral sanctions were acceptable in dealing with Iran's nuclear program. Kouchner, a prominent member of the European left and the co-founder of Doctors Without Borders, was received warmly by human rights groups, which praised his strong interest in the situation in the North Caucasus and Chechnya in particular. But it was clear at a press conference Tuesday that Kouchner's two-day visit, the first by a high-level French government official since the election of President Nicolas Sarkozy in May, had generated little in the way of common ground on Iran or the future status of Kosovo. "We are seriously concerned about increasingly frequent reports that military action against Iran is being seriously considered," Lavrov told reporters after meeting with Kouchner, Interfax reported. He added that the results of the use of force were already extremely serious in Iraq, Afghanistan and elsewhere and that there were no military solutions to modern problems. Kouchner said in an interview over the weekend that the international community should be prepared for the possibility of war if Iran were to obtain atomic weapons. While softening his stance to say that everything possible should be done to avert war, Kouchner still disagreed with Lavrov's position on sanctions. "Differing from my friend Sergei, I think it is necessary to work on precise sanctions that would show the seriousness ... we attach to a peaceful solution," he said. Lavrov agreed that tougher sanctions might be necessary but that they should not be implemented on a unilateral basis by the United States or the European Union. "If we agreed to work collectively, as represented in collective decisions made by the UN Security Council, then what would be the purpose of unilateral sanctions?" he said. Meanwhile, Iranian President Mahmoud Ahmadinejad on Tuesday said, "We do not take these threats seriously." Iran strongly denies the charges that it intends to produce nuclear bombs. On the question of Kosovo, Kouchner said the Troika of the United States, the European Union and Russia had to reach a consensus soon. The head of the first United Nations administration in the Serbian separatist province from 1999 to 2001, Kouchner said the process to decide Kosovo's ultimate status could not be allowed to drag on forever. 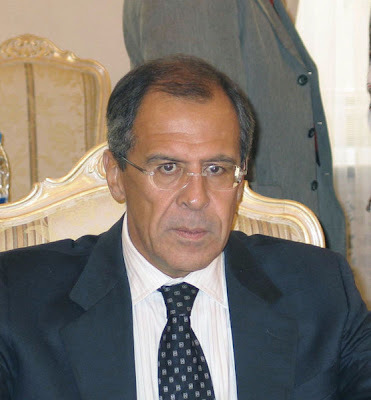 But Lavrov only reiterated the Kremlin's position that a deadline set by the West for Dec. 10 was counterproductive. "We do not think it is possible to set artificial deadlines," he said. Human rights groups found the visit by the foreign minister a more positive opportunity, providing him with their impression of what they called an increasing rollback of political freedoms. "I told him what it is happening ahead of the elections," said Lev Ponomaryov, head of the group For Human Rights. "We have no real opposition, since it has been taken under control. We are not allowed to have meetings or to gather." He told Kouchner that only loyal opposition groups were being allowed to take part in the State Duma elections on Dec. 2 and that they would only get into the parliament if they "behaved." Lyudmila Alexeyeva, head of the Moscow Helsinki Group, said that while private groups had made it clear that the human rights situation was deteriorating, government human rights officials had been more careful in voicing their concerns. Human rights ombudsman Vladimir Lukin, who also met with Kouchner, told him that most nongovernmental organizations operate "normally" in Russia. "They sometimes encounter difficulties with bureaucracy, but I don't believe the powers that be want to get rid of them." He added that there was some irritation over the fact that NGOs sometimes receive foreign financial support, but that the level of irritation was probably exaggerated. Part of Kouchner's visit was also devoted to laying the groundwork for a Moscow visit by Sarkozy in mid-October, a spokeswoman for the French Embassy said by telephone Tuesday.